Green tea is well known for its cancer-fighting elements. 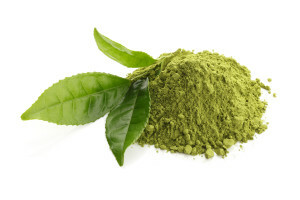 The natural antioxidants found in green tea, called Polyphenols, help block the development of skin-cancer cells. Its breakout-busting properties have also been documented. Beauty magazine “Allure” reported that in a pool of 35 people suffering from chronic breakouts, acne decreased by 80 to 90 percent over eight weeks with daily application of a cream containing ECGG, an antioxidant from green tea. Simply applying green tea bags to the face is not likely to help because the amount of ECGG is too low, but cosmetic products with at least a one-percent concentration of ECGG are likely to boast the same benefits. In addition to zapping zits and squashing skin-cancer risks, green tea can also soothe irritated skin and is a common ingredient in dark under-eye circle correction creams.